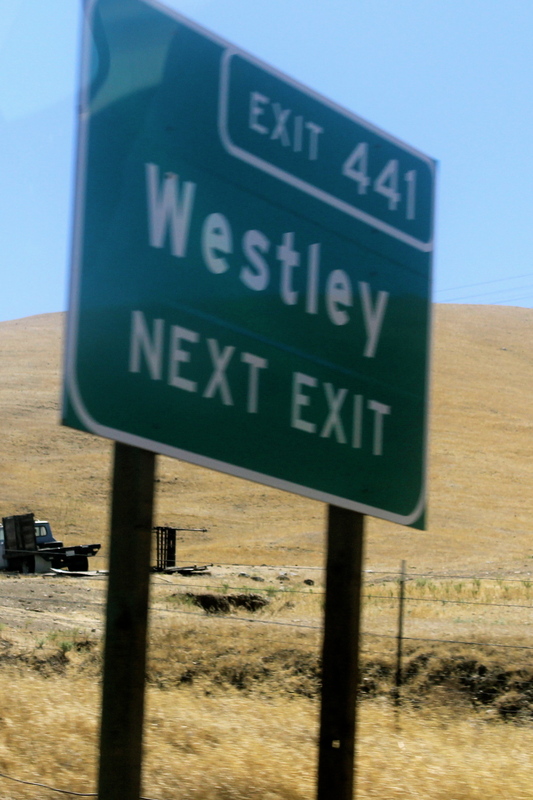 …it seems he can be found nearby! Okay, now for a fancy Buttercup dress. 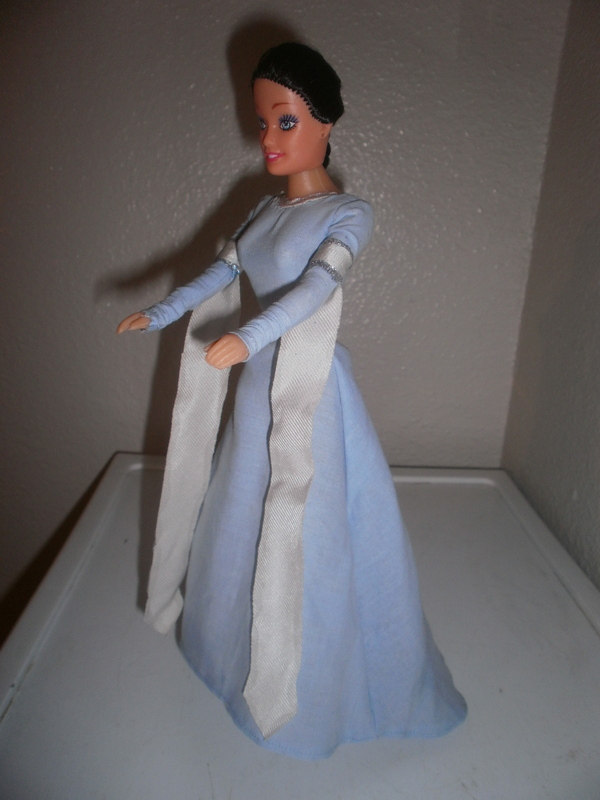 This is the one she wears while sadly walking down the hall at the palace, and again while standing up to Humperdink. I used a basic pattern but made the dress more fitted using the side seams. The fabric is a real nice, soft one and the “wings” are made from a sheer, silky material. There’s a slight train. Instead of silver beads for decoration, as the original had, I used silver glitter paint. 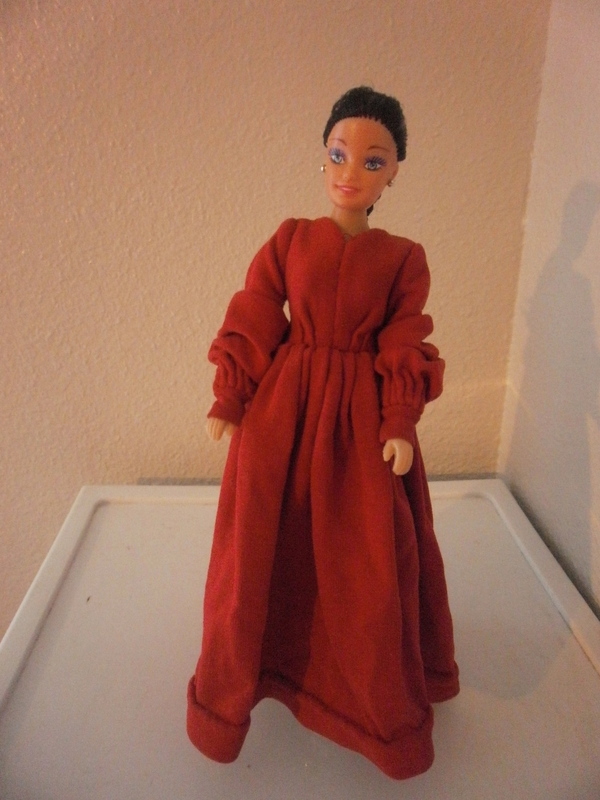 And now for the most well-known of all Buttercup’s dresses–the Red Riding Dress. 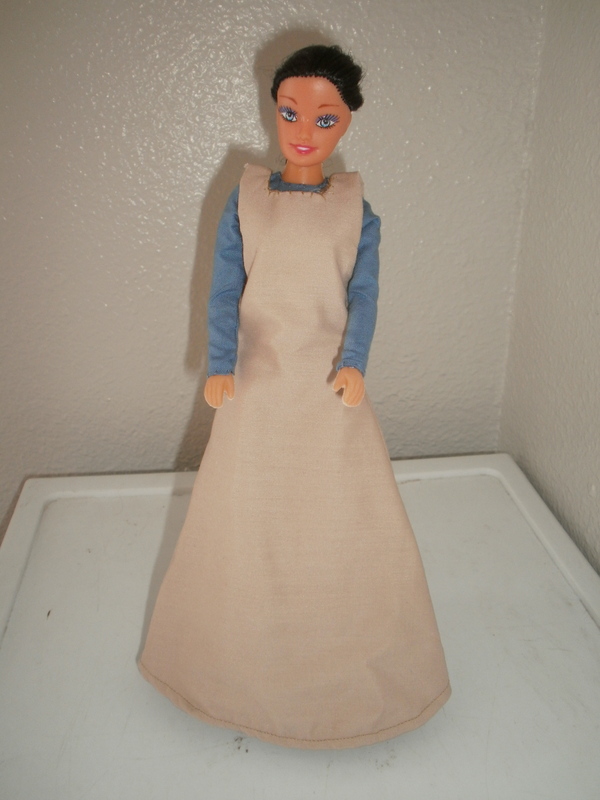 This dress is based on the houppelande style that was used in the Middle Ages. With this dress–for the first time–I had no pattern. So i used pictures and existing patterns. As the material was a T-shirt donated by my little brother, I had just enough 🙂 The dress was also done entirely by hand. There are 2 pairs of knife pleats in the bodice front. The back is laced up. The skirt is made of 2 rectangular pieces of fabric that are knife pleated to add fulness without bulk. The sleeves are quite long and wide. They are cartridge pleated, then sewn to the cuffs. Actually, I was surprised at how FUN it was to sew this dress 🙂 Learning the style, history, different types of pleating…so cool! 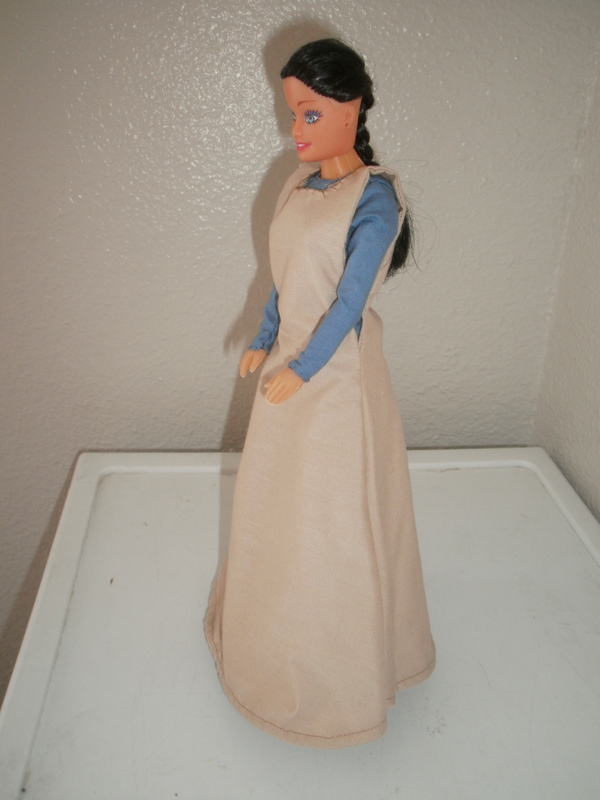 This is the second outift Buttercup wears in the movie “The Princess Bride.” It’s worn as she says goodbye to Westley. True, not a very well known one, but I really liked it. The chemise is 3/4 sleeved and the dark blue jumper looks like a vest because of the apron worn over it. When we first watched “The Princess Bride”, I really enjoyed it. Only recently did I think of starting to make the costumes. 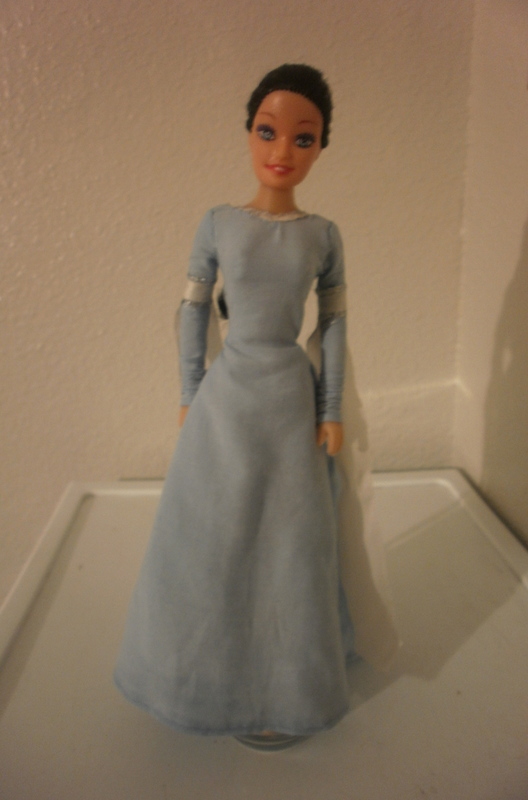 This is the first dress Buttercup wears in the movie. It consists of the blue pullover shift and light brown jumper, which is fully lined. 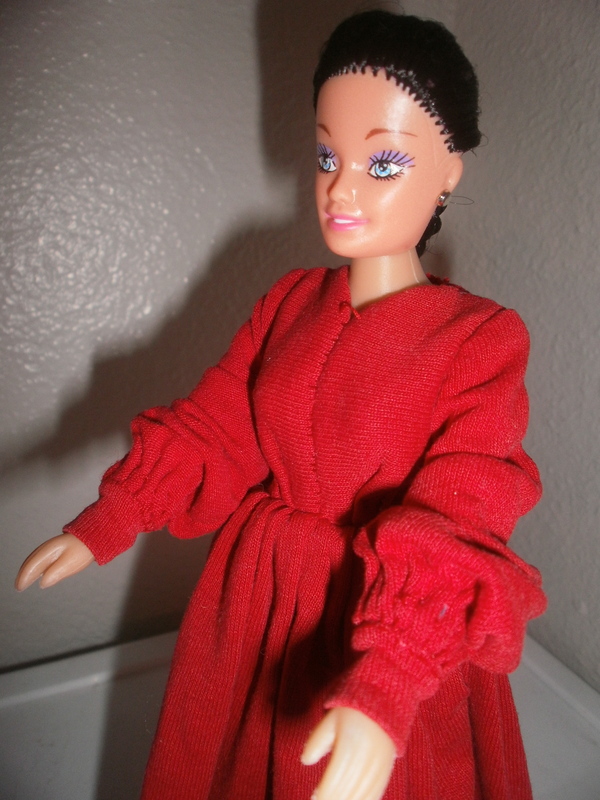 Most of my doll costumes are patterned after movie costumes. The movies I mostly use are “The Lord of the Rings” series, “The Princess Bride,” and the “Narnia” series–3 of my faves. 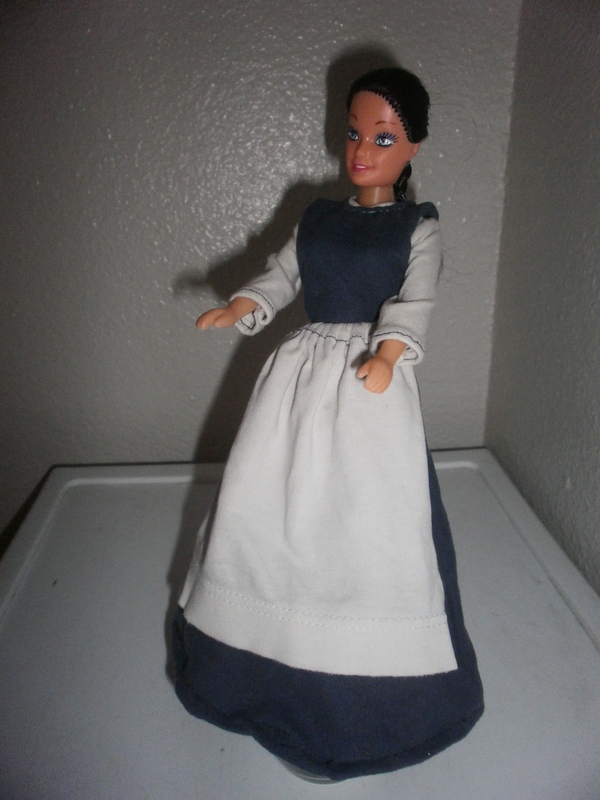 I also like to make back stories for my costumed dolls. The dolls wearing the LOTR costumes I got from Hobby Lobby–they have nice long, thick hair. 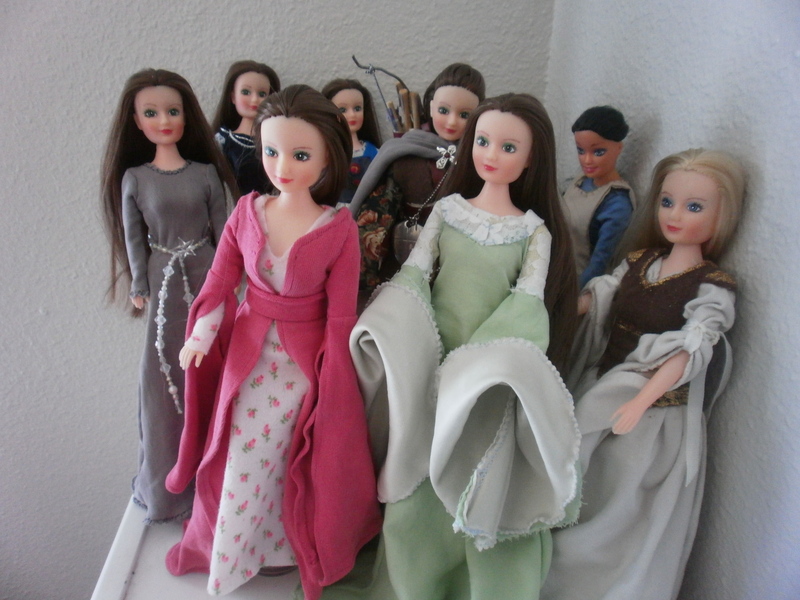 The brunettes are supposed to be Aragorn and Arwen’s daughter; the blondes, Faramir and Eowyn’s daughter. 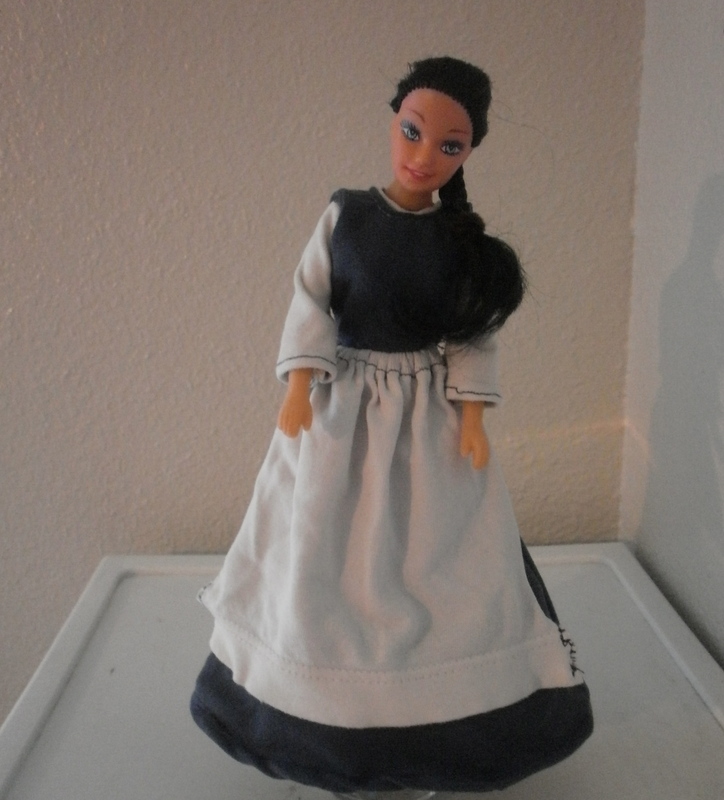 The black-haired dolls model “Princess Bride” dresses as well as other, non-movie outfits.